Dr. David C. Fain graduated with his Doctorate of Veterinary Medicine from Texas A&M University in 1980 after obtaining his Bachelor's Degrees in Agronomy in 1977 and VetMed in 1979. 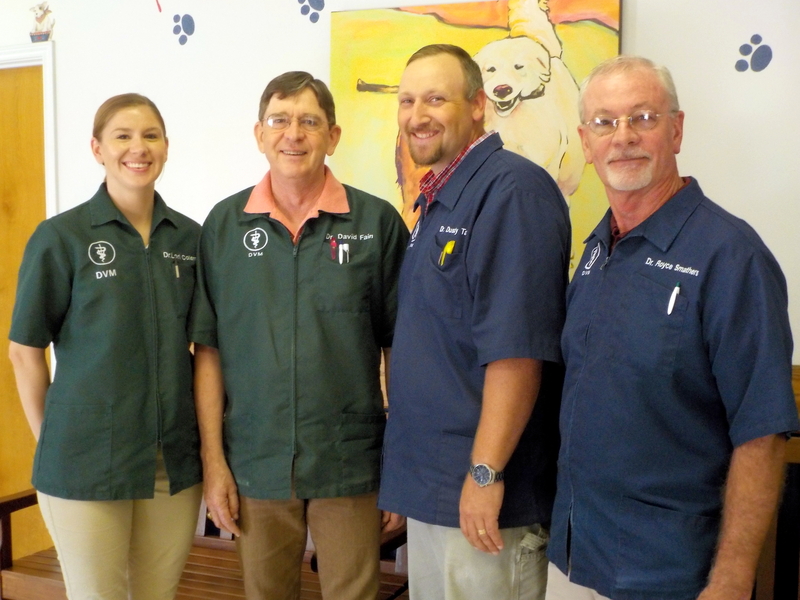 Shortly after graduating from veterinary school, Dr. Fain returned home to the Lakes Area and formed the original Fain Veterinary Hospital in January of 1982. Dr. Fain was raised on an East Texas ranch and decided to become a veterinarian because he knew that working with and helping animals would be rewarding. When Dr. Fain is not performing his duties as a veterinarian and managing owner of Lakes Area Veterinary Hospital, he enjoys ranching, camping and coin collecting. Dr. Fain also enjoys spending his time with his two daughters, Leslie and Lori, and their families. Dr. Fain has a cat named 'Callie' and a dog named 'Princess'. When asked what he likes most about his job as a veterinarian, he says educating the public about proper animal care ranks number one. Dr. Lori Coleman graduated with her Doctorate of Veterinary Medicine from Texas A&M University in 2016. Before becoming a Veterinarian Dr. Coleman was a Teacher but soon realized Veterinary Medicine was what she was called to do. She spent her childhood watching her Dad, Dr Fain enjoy caring for his patients. Her goal is to one day become a partner in the practice and continue teaching owners proper care of their pets. She and her husband Blake love living back in their hometown of Jasper and raising their children here. They also have a four legged child named 'Bailey'.